Like sand through the hourglass, this was another day in our lives. Well, seven. Tony Abbott got zinged, a Trump flunkie got sent to the slammer and a billionaire was murdered by schadenfreude. Standard. Last night, Scott Morrison changed the rules to avoid another Libspill, and thusly, save himself. As an LNP voter, it’s time we register the magnitude of this albatross we’ve enabled. This week, Malcolm Turnbull faced criticism over the “Vote Tony Out” Instagram page. But with the Liberal party in its current state, I can’t help but feel it might be a good idea. Scott Morrison might not be able to stop saying ‘fair dinkum’, but research actually shows that his colleagues are far more guilty of it. Fair dinkum. This morning, we shook our fist at the possibility of Malcolm Turnbull ripping us off. Every time we see his face, it should serve as a warning – we’re being distracted. Yesterday, the nation discovered the Malcolm Turnbull tapes, where our ex-PM panned his contemporaries. This morning, we found more. 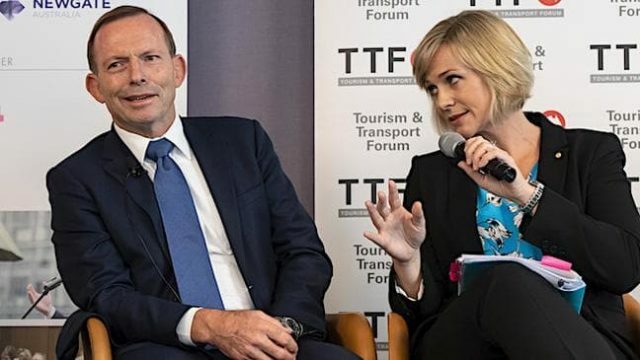 With Scott Morrison jumping ahead in the preferred PM race, I suggest we focus on the culture of automatic criticism that pervades our politics. In front of our eyes, we’ve seen our politics devolve into the pursuit of revenge. But just how sweet is revenge, and how long will we see it last? Where to from here for Malcolm? Malcolm Turnbull has a massive problem to navigate, as the sharks will invariably return to finish him off. A solution does exist, but it calls for bold action. In the wake of Emma Husar stepping down, Bill Shorten is feeling the heat from the other side of the room. Everyone is currently losing their mind over Malcolm Turnbull handing over $444 million to his corporate pals in the name of the Great Barrier Reef. But, maybe we don’t get it. Where to now for a diminished Turnbull? Super Saturday might have favoured the ALP, but the after effects are being felt elsewhere, as Malcolm Turnbull must now quickly regroup. With the Longman and Braddon byelections around the corner, the leaders of both parties have strangely gone for the same ‘underdog’ strategy. Today Malcolm Turnbull took the extraordinary step of calling on the Pope to sack an Archbishop. If he’s now involved in this issue, this should be his stance. Throughout the entire Sarah Hanson-Young discussion, two voices were missing. Mr Turnbull, Mr Shorten, your silence against women was noted. Turnbull, the self made man. Yeah, right. This week, Malcolm Turnbull railed against an ALP attack that claimed his tax breaks will help himself, claiming that he earned everything he has. History points the opposite to be true.